Fendi‘s latest Spring/Summer footwear offering is a sandal of sorts. From the front, the Leather Loafer Sandals appear to be a classic penny loafer shoe, but upon further inspection, it becomes apparent that these are anything but formal shoes. With the absence of a heel counter, the leather sandals are secured on foot via a tri-colored elasticated slingback strap. On top of the red padded heel strap, a contrasting white-rubber boot outsole replaces the customary slim-leather outsole found on traditional loafers. Branding for these comes in the form of a grosgrain logo patch, Fendi-debossed leather insoles, and branded heel loops. 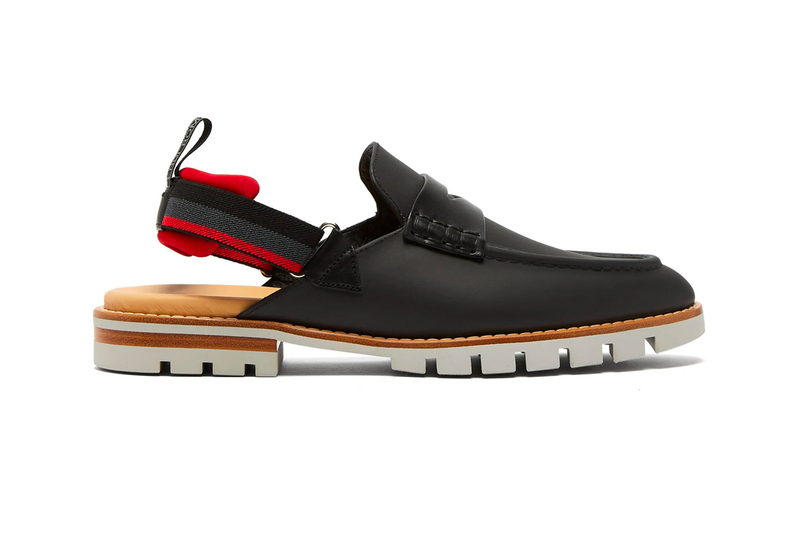 Look for Fendi’s made-in-Italy Loafer Sandals over at MATCHESFASHION.COM for a retail price of $994 USD. In other footwear news, adidas celebrates Black History Month with a special UltraBOOST Uncaged colorway.